"November" is based on Estonian novel "Rehepapp" by Andrus Kivirähk, a bestseller of the last twenty years. 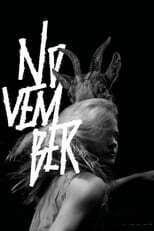 November is directed by Rainer Sarnet and was released on Feb 23rd, 2018. Director Rainer Sarnet's Drama & Fantasy movie November is produced by Homeless Bob Production & Oscilloscope & was released 2017-02-03.